User-generated content is different for SaaS. It’s not only a chance to create a cornucopia of exponential search traffic. It’s also an opportunity for users to be creative with their ideas and use your platform as their public canvas. This means they’ll share the content online, publish it, present it, share it across social platforms, embed it in blog articles. If your product is visual and promotes UGC, your users should be proud to showcase the content they create. 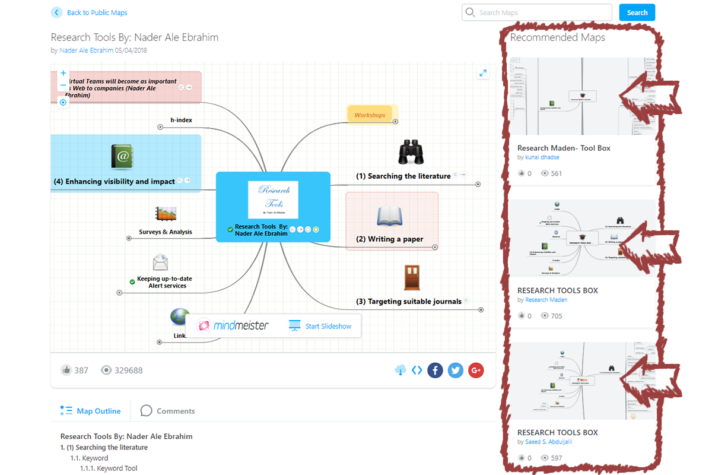 At MindMeister, we’ve worked towards developing a library of user-generated content with our collection of public mind maps. It’s our belief that people can distill and share concepts easier through mind maps, so we encourage users to publish their mind maps and share their knowledge with others too. 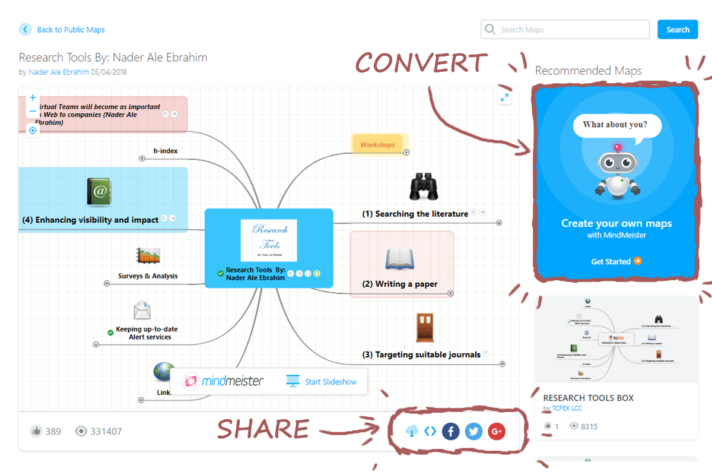 As a result, from the very start of MindMeister, we’ve worked to build up an extensive library of user-generated mind maps. Luckily for us, Google loves to rank content generated by your users too. Not only is UGC original, but it’s also an unbiased page of content that’s created by someone outside of your marketing team. Plus, by indexing and ranking user-generated content, we reward power users with more exposure for their mind maps and content. It’s a win-win situation. 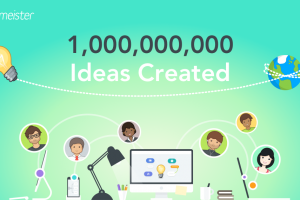 We currently have almost 4 million public mind maps indexed in Google and we’re not planning to stop anytime soon. After a manual penalty from Google in 2014 and multiple modifications to the tech stack, our website traffic started to flatten out. This meant our public mind map library needed some love, so we rolled up our sleeves and got to work. That’s an increase in organic traffic of 332.91% YoY! In the past, you would pursue a handful of keywords like crazy and throw everything and the kitchen sink at them. Today, Google is a more dynamic environment, where your search results may be influenced by a multitude of factors that are not even under SEO reach. Your local and geographic location. And it doesn’t even matter if you’re logged in or not to your Google account. Google slowly moved from update to update, from a one size fits all SERP, to a more personalized approach, to results and suggestions. This is because two different people can easily have two different search intents for the same query. Either way, it’s clear that the customer journey is not a well-defined funnel anymore, but a cyclical system where the path to conversion is created from a number of micro-moments. After all, if you’re providing UGC, in our experience, almost 90% of your traffic will be made up of people browsing for unrelated information. Creating a library of UGC makes a lot of sense, especially for freemium SaaS businesses. Surprisingly, not a lot of companies deploy these tactics. It combines the best of both worlds: an unlimited pool of creativity from the users and a public example of how you can use your platform. A win-win-win situation for your SaaS, the content creator, and the visitor. However, as mentioned, only a handful of B2B SaaS companies have built UGC platforms. To work out how to fix it, we looked to other successful SaaS businesses, sharing UGC themselves. One of the most known examples of SEO ready user-generated content is SlideShare. It became a popular destination for B2B companies that wanted to diversify their content strategy and maximize the output of their content. While they consistently dropped from the beginning of 2017, SlideShare ranks for 7 million keywords. They created the perfect environment for users to upload, convert content and share slides. They also made sure their content is easily picked up and indexed by search engines. This gives an extra incentive for users to repurpose their content on the platform. Another example of a SaaS business that profited a lot from embedding user-generated content into their acquisition strategy is Trello. By allowing their users to create public boards, they encouraged users to get creative with the product. 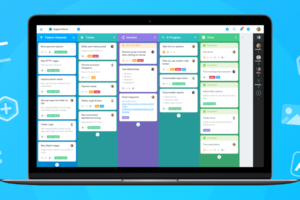 From organizing cooking recipes to roadmaps for software, people started creating and sharing their boards and template boards. Trello was exposed to more and more people through the help of their users, creating a snowball effect. Not only have they managed to rank for 419k keywords, but they’ve also received an impressive number of backlinks. Another company that benefits from UGC is Airtable. They combine a curated library of template spreadsheets on a multitude of topics with a “Universe” of content pages created by their users. While their user-generated content is not fully optimized for search engines, you can see it gave them quite a big boost. They rank for over 25k keywords. Some companies try to create such public libraries on their own, for example, design tool Canva. And they’re doing a good job at it. They are ranking for 654k keywords on a multitude of topics. Even so, their pages lack crawlable content and a UX that enables sharing. But the biggest issue with their approach is the lack of user-generated content. As a result, they’re missing out on a lot of creative potential. 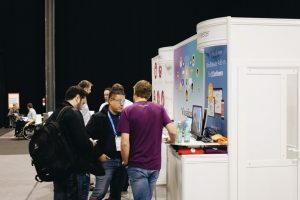 As you can see in the examples above, you can get a lot of exposure by enabling users to share their creativity through the unique perspective of your SaaS product. One of the biggest problems with SaaS user-generated content is having content that’s inaccessible to Google. So that means you need to ease off on the JS and avoid (or build around) iframes. The best solution is to isolate the JS or iframe and serve HTML content around it. The process of having your pages on Google is more complex. The URLs need to be accessed by the Crawler a.k.a. Googlebot. Then it sends the pages to the Indexer a.k.a Caffeine, which analyzes the page’s layout and its content. 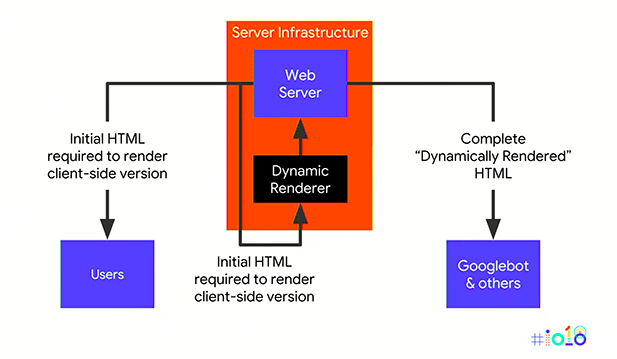 Another solution that was announced at Google I/O 2018 is serving “Dynamically Rendered” HTML to search engine bots. The server detects the bot by checking the user agent and serves a version of the page that can be fully understood by crawlers, while serving the initial page to the users. And all of this can be done by telling the servers to serve different content based on the user-agent. John Mueller explained that this can be done for any type of search engine bot and it’s especially useful for large websites with JS heavy code, such as user-generated SaaS pages. The problem with SaaS websites that have user-generated content is that Google will only crawl a small portion of your website. Plus, it will try to prioritize what it thinks is important. 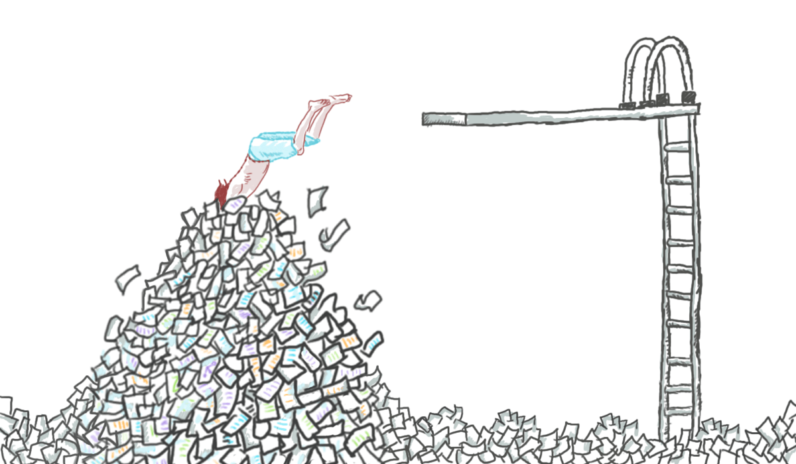 For example, for MindMeister, from over 3 million URLs, only 200k get crawled on a daily basis. To make sure that our crawl budget doesn’t get wasted, we looked at what ranks and gets traffic, in order to ensure that search engine crawlers ignore the rest. We found out that a huge portion of our crawl budget was wasted on user profiles. The majority of public users had between 1-2 mind maps on their profile. And they weren’t getting any traffic from Google either. We scrapped all user profile URLs from the XML sitemap and we blocked them in robots.txt to make sure Googlebot ignores them completely. 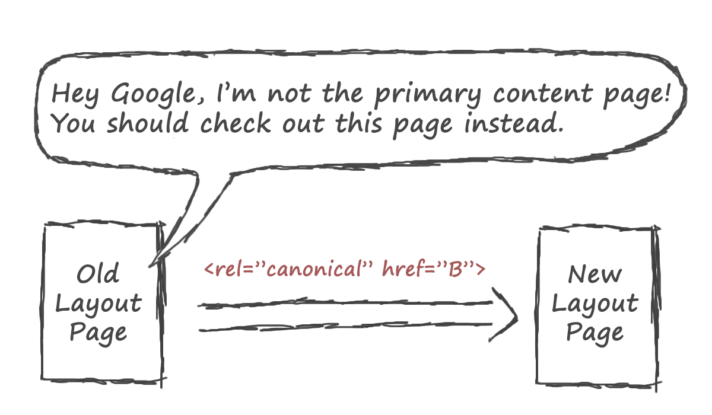 All the pages we excluded from Google were pages that had thin content, no traffic, and no backlinks. This change helped Google invest more crawl budget into public mind maps, which gave us more ranking opportunities. Worth mentioning that having those pages removed from the sitemap or placing a noindex tag won’t have an impact on the crawl budget. After we’d implemented the URL system above, none of the old URLs were being replaced in search results by the new URLs. Apparently, Google thought the un-optimized, JS filled iframes were better than the crawl friendly pages. Our website supports 12 languages, which means 12 URLs for each piece of user-generated content. 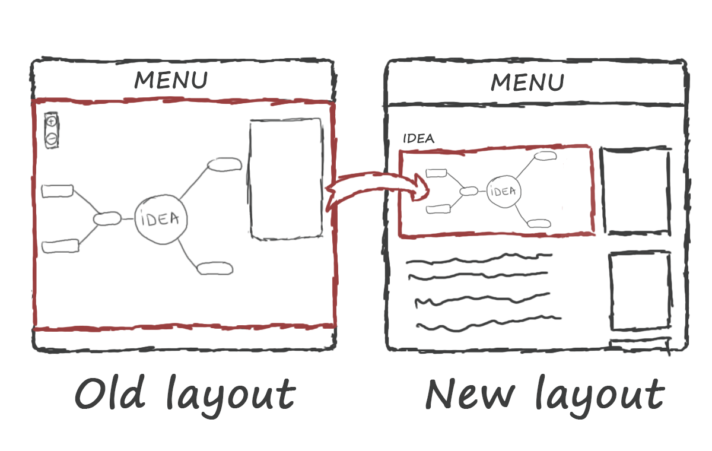 This is the case for both new layout and old layout pages. In short, that’s a lot of pages. 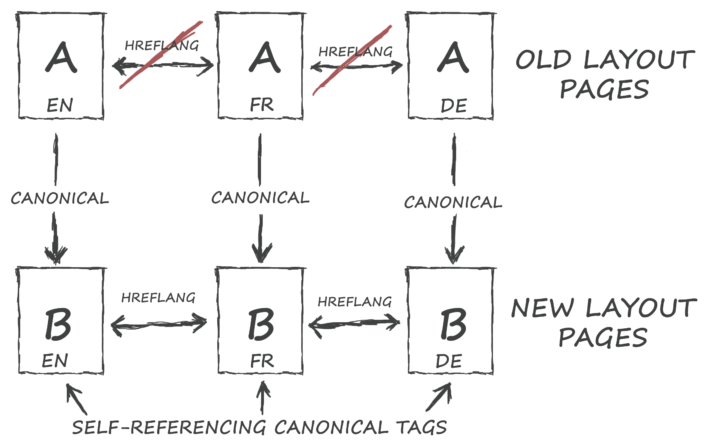 . .
As we wanted Google to organically replace all the old layout pages with the new layout pages, we set canonical tags between them. When this type of conflict happens, Google will disregard both tags and will take a decision based on other factors, which was bad for us. 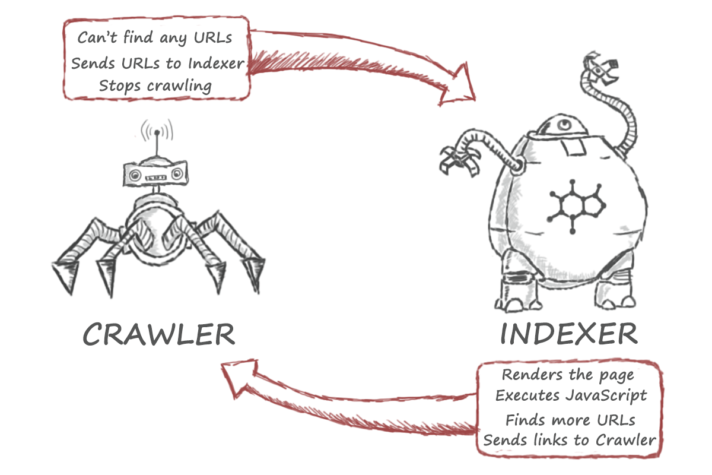 We had to create a scheme of directives that made it clear to the crawler which pages need to be indexed. This tagging structure ensures Google will not override any tags and will index and rank the proper pages. Having a good internal link structure is beneficial for multiple reasons. Google finds and indexes pages on your website based on your internal link structure. 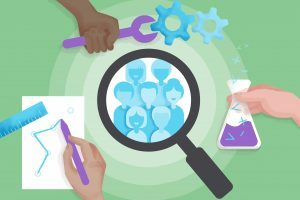 You’ll have to index a large database of user-generated content, and you’ll keep adding a lot of new pages on a weekly basis. Having an optimized and easy to crawl link structure enables Google to find new pages more easily. Another reason would be the fact that they pass link equity from page to page. Having an organized taxonomy for your URLs is considered a solid foundation. But that can only take you so far. You need to create links between UGC pages that are relevant and offer more context to the content (for Google and for the user). 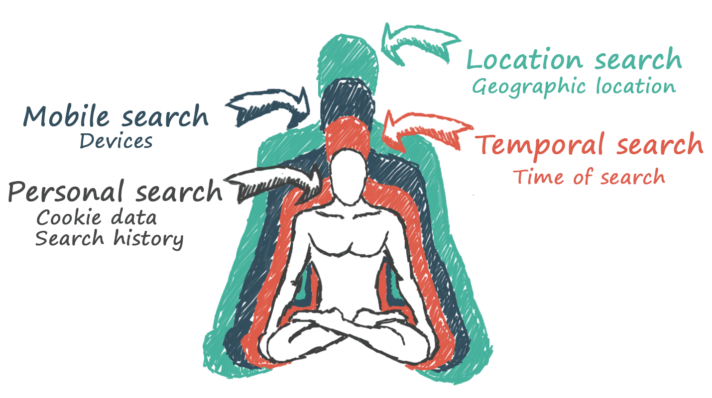 Each page has 5 relevant mind maps that users can click through. That way we can both reduce the bounce rate and ensure that crawlers have relevant URLs to crawl through. While schema markups are not a ranking factor and they do not cause pages to rank higher, there is certainly some correlation. User-generated content does not have a specific schema for structured data, so you’ll just have to be as generic as possible. You can use either CreativeWork or MediaObject to help with this. By having Schema markups you can specify to Google different types of information, like a featured image, the content, author, comments and likes, and so on. There are multiple formats, but I prefer JSON-LD. 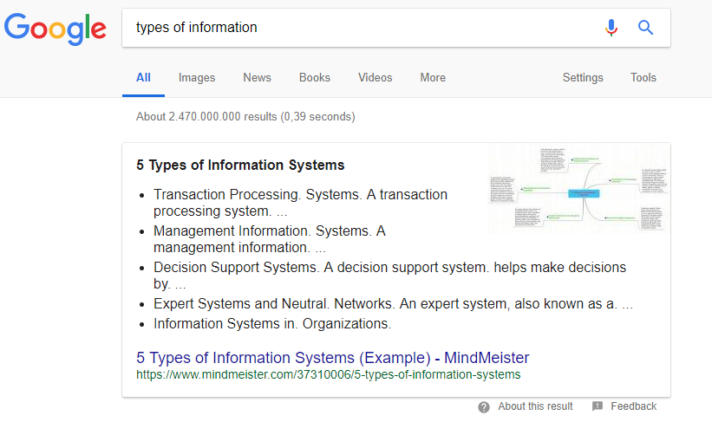 It is the newest format to express structured data and it’s also the preferred format by Google. This is also the only method through which you can move the code from the HTML body to the head. Having JSON-LD markup allows us to offer the Indexer more information regarding our public mind maps. This might lead to Google featuring the page into a rich snippet, improving SERP visibility, leading to higher click-through rates. These user-generated content pages also act as landing pages. The problem with most UGC strategies is that, as shared, 90% of your traffic will be from people who are not interested in your product. Most of the keywords you’re going to rank for will have an informative intent, rather than commercial. But at least these visitors are exposed to how your product can be useful. As a result, you still need to appeal to the visitors that could potentially qualify as your target audience. You need to make sure that you have the right actions to enable users to either share the content further or create an account. Our visitors have the possibility to download, share or embed the mind map on their website. In the recommended maps section, we inserted CTA banners offering the possibility to create a free account. You can play around and test what type of call-to-action provides the best conversion rate. The type of action your visitors might be interested in depends on how your SaaS works. For example, Airtable offers their visitors the possibility to create a free account and copy the public database. Make sure to not hinder the interaction of the visitors too much and ensure that it’s a helpful interaction rather than a forced one. People are more likely to remember a bad experience than a good one. While we’ve achieved an increase of 332.91%, the SEO pipeline is far from over. There are still lots of low hanging fruits for us to address, like page speed and XML sitemap optimization. By scaling the number of indexed pages, we will encounter growing pains along the way, but we’re now in a much better position to deal with these challenges as they arise. The pages have crawlable content. Bear in mind that usually a SaaS product is heavy on JS, which the Crawler can’t access. Look at the structure of the website and remove any redundant pages from being crawled. Make sure the search engine crawler is paying attention to the pages that are UGC. Make sure all the tags and attributes don’t have any conflict. 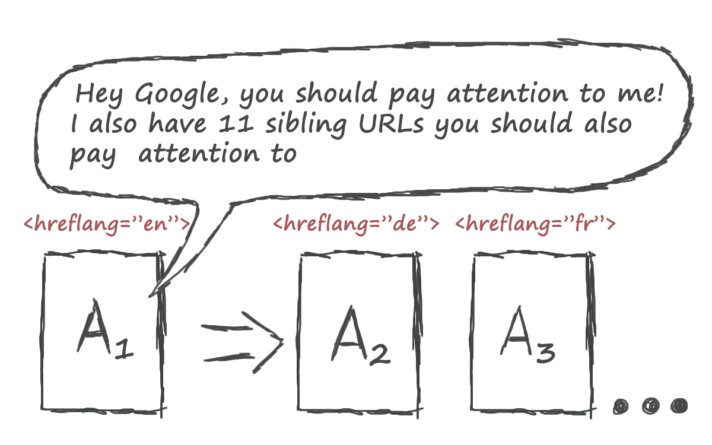 It can easily happen when working at scale and Google might end up ranking the wrong pages. An optimized internal link structure is a multifaceted diamond. Make sure content pages link to and are linked from other relevant content pages. Schema markups are extremely helpful, as search engine algorithms become smarter at understanding code and content. Make sure you enable your visitors to share or convert without being too aggressive. 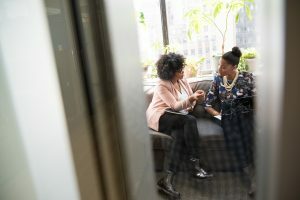 Implementing a user-generated content strategy in SaaS can provide a great way for your target audience to interact with your platform and learn it’s best use case from your existing users. 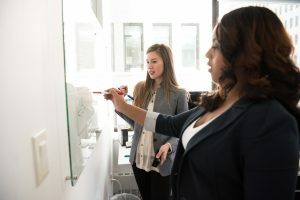 As you’ve seen in this article, if optimized properly, UGC can expose your brand to a continuously increasing audience. As you increase your user-base, the amount of published content and the amount of URLs will increase as well. If you’re careful and abide to Google’s rules, you should enjoy an abundance of traffic. If you have any questions or comments, make sure to reach out to us in the comments below!